Somehow, I got my weeks totally mixed up! 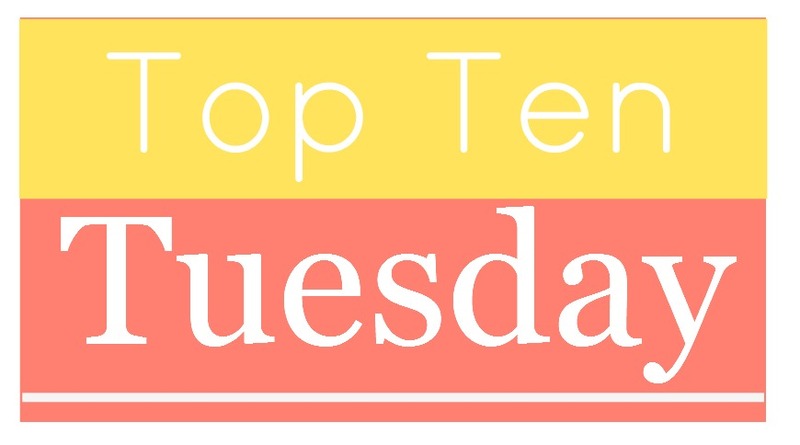 I thought today's Top Ten Tuesday topic was a freebie, but it's not; it's actually about historical/futuristic societies. Since nothing is coming to mind for the correct topic, I'm going to stick with my original plan and do the freebie I should have done last week. Before I get to that, though, I want to make sure you're invited to join in the TTT fun. 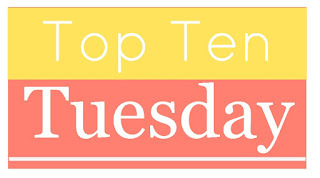 All you have to do is click on over to The Broke and the Bookish, read the rules, make your own list, and hop around the book blogosphere to share the TTT love. Easy peasy. 1. 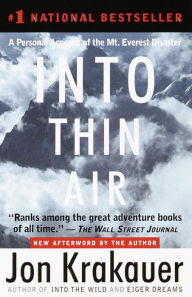 Into Thin Air by Jon Krakeur—You've probably all read this haunting memoir about an American journalist's quest to summit Mt. Everest in 1996. I finished it a couple weeks ago, but I can't stop thinking about the terrible, life-changing events that happened to him and others with whom he was climbing. Although Krakeur's trip took place in March—technically Spring—I can't think of a chillier, more winter-ish book than this one. 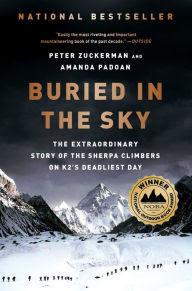 Because Into Thin Air made such an impact on me, I also checked out these two to read soon: Left for Dead by Beck Weathers (a member of Krakeur's climbing party) and Buried in the Sky, a memoir about sherpas climbing on K2's deadliest day by Peter Zuckerman and Amanda Padoan. I've heard mixed reviews about the former and lots of praise for the latter. Both sound fascinating to me. 2. 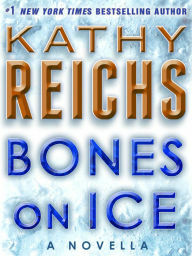 Bones On Ice by Kathy Reichs—While we're on the subject of Mt. Everest ... This novella (#17.5 in Reichs' popular Tempe Brennan series) concerns a female hiker from North Carolina who dies mysteriously while climbing the mountain. 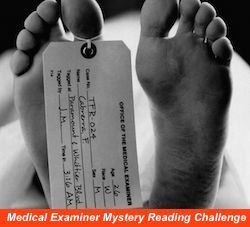 It's up to Tempe, a forensic anthropologist, to figure out what really happened. This is a quick but very compelling whodunit. 4. 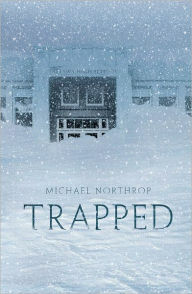 Trapped by Michael Northrop—A vicious New England blizzard traps seven teenagers at their high school with no access to the outside world. Can they survive with no heat, little food, and a dwindling hope of rescue? 5. 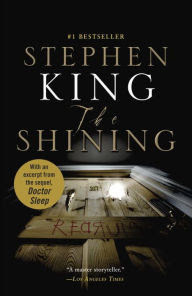 The Shining by Stephen King—When Jack Torrance accepts a job as the caretaker of an old hotel for the winter, he's looking forward to family time and a new start. But, as the weather takes a turn for the worse, he finds himself trapped in isolation, fear, and his own madness. 6. 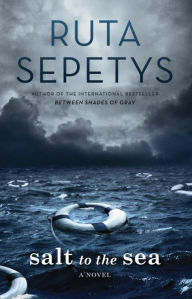 Salt to the Sea by Ruta Sepetys—Unlike most readers, I wasn't totally bowled over by Sepetys' Between Shades of Gray. The YA novel, about a Lithuanian girl who's sent to a Siberian work camp during WWII, is vivid and compelling, but I just didn't feel much connection with the characters. The total opposite is true of its sequel, Salt to the Sea. It's been months since I read the chilling follow-up and it still haunts me. 7. The Winter People by Jennifer McMahon—All McMahon's books are creepy, but this one is especially so. 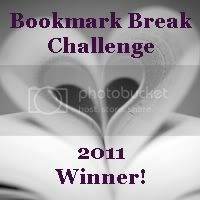 The novel revolves around a mysterious old legend about the deaths of a mother and daughter. 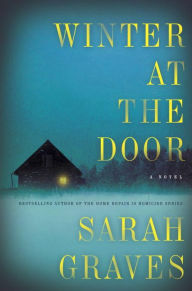 Now occupying the farmhouse in which the dead females once lived, a teenager gets wrapped up in the chilling truth about what really happened to them. 8. 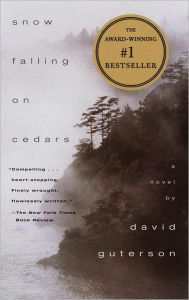 Snow Falling On Cedars by David Guterson—It's been a long time since I read this novel about a drowned fisherman and the Japanese-American accused of murdering him. Time for a re-read of this atmospheric tale, methinks. 9. A Christmas Carol by Charles Dickens—Probably the most iconic wintertime book of them all, I try to re-read this classic tale every December just because I love it so much. 10. The Lion, the Witch, and the Wardrobe by C.S. Lewis—I read this first volume of Lewis' classic Narnia series when I was in elementary school (a loooonnnngggg time ago) and yet, many of its vivid scenes have stuck with me through the years. I'm way overdue for a re-read of this one, as well as a first-read of the rest of the books in the series. What do you think? Love winter or hate it? What are your favorite cold weather books? With a long, scorching Arizona summer just around the bend, I'd love lots of shivery book recommendations to keep me cool. 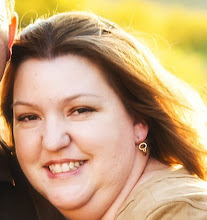 Leave me a comment and I'll happily return the favor on your blog. Oh what a great topic (and timely!) Salt to Sea is one on my list to read. Will have to check some of these out though. Great list! It's a really good one. I'm sure you'll enjoy it. I've only read the Lion, the witch, and the wardrobe on your list but i LOVE winter! are you a Gilmore Girls fan? I just saw an article yesterday stating the first episode was titled "Winter" and i got TOO excited! 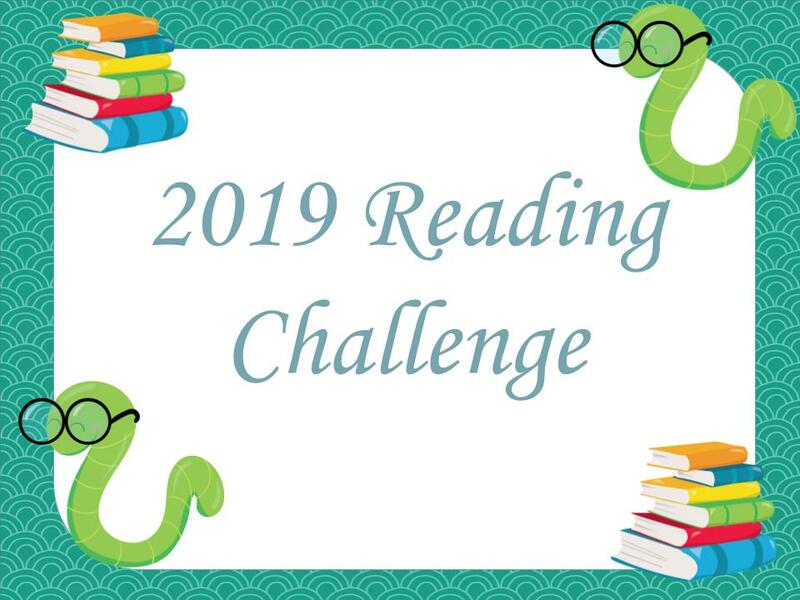 great (and creative) idea for this week's post! I do love Gilmore Girls! I've been watching it on Netflix and I'm still in the first season. It's a great show. I love Phoenix! My husband and I spent a summer there, once upon a time. I've never experienced heat like that before or since. I love your book picks this week. Of course, I love The Lion, the Witch, and the Wardrobe, and I've heard great things about Salt to the Sea and The Winter People. Yep, the heat here is intense! Thank goodness for air conditioning and swimming pools. I loved Michael Northrop's Trapped. I read it a couple of years ago and I had a couple of nightmares believe it or not about that book. This is a fun topic! 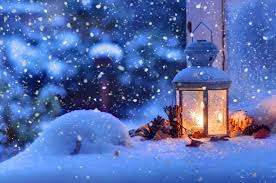 I'm not a big fan of winter in real life because I HATE cold weather, but I don't mind reading about it :-P Can you believe I've never read A Christmas Carol? I thought about it last year. Maybe this will be year I finally read it! And I just love the cover for Salt to the Sea! What? Oh, you have to read A CHRISTMAS CAROL. It's a short book and a wonderful read. I adore. Snow Falling On Cedars. Have you seen the movie? I love it too! I'm a bit tired of winter but I do prefer it over summer. It's been a long time since I've read the book. I need to re-read it and then watch the movie, since I haven't seen it yet. I'm definitely due for a re-read of it. It's been way too long! Ah, lovely winter books. Which I prefer to read in the middle of the summer. I feel your pain with the 'lack of winter'. I know you do! I really miss having seasons, especially Fall. I loved The Shining and I really want to read Salt to the Sea. Thanks for visiting my TTT post! THE SHINING is so creepy -- I'll never forget it. SALT TO THE SEA is a really good read. I'm sure you'll enjoy it. Very true! There's nothing better than a good blizzard to up the scare factor in a ghost or mystery/suspense story. It's been a little while since I read it, but the story stuck with me. I hope you enjoy it. Great idea for a topic! I love winter. I don't do well in the heat! The Lion, the Witch and the Wardrobe definitely has one of the most magical settings ever. I think The Northern Lights/ The Golden Compass is one of my favourite winter settings too. I don't do well in the heat either! This scorching hot desert is killing me. I know! I cannot get that book out of my head. 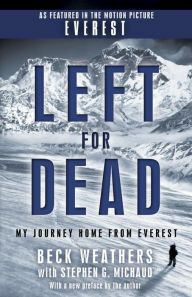 I'm planning to read the two other Everest books I mentioned in my post ASAP. OUT OF THE EASY is my favorite Sepetys book. I'm hoping she's going to write a sequel.